Up to ten levels of drawings. Click and Drag interface to reposition drawings and change their duration. Instant preview of currently selected drawing. Import WAV or MP3 audio files. Waveform display with audio scrubbing and dialog markup. Import previously captured or scanned images in BMP, Jpeg or PNG format. Export as an AVI movie. Support for standard NTSC and PAL resolutions. Editable Layer names and colors for clarity. Visibility control for each layer. Open image in external editor from within MonkeyJam. 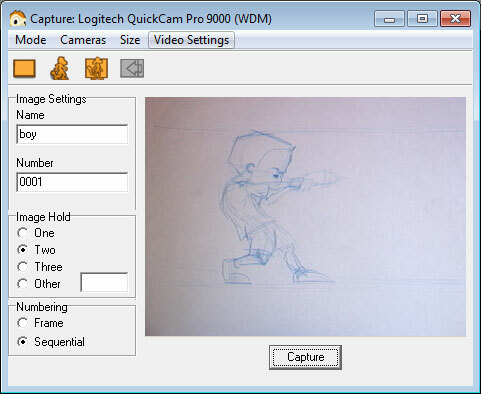 Capture using Webcam, vfw capture card or firewire. Capture images as BMP, Jpeg or lossless PNG in color or black and white. Automated number generation with a choice of Frame or Sequential numbering. Adjustable duration at time of capture. Frame averaging for cameras with fluxuating auto-exposure. Automatically rotate images on capture. 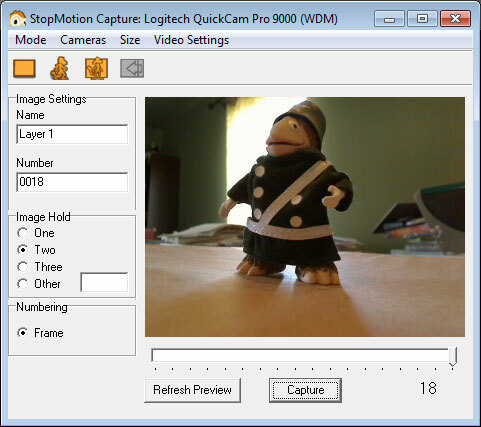 Option to adjust for non-square pixels when using a DV camera and aren't playing back to DV tape. Scanner interface with automatic resolution adjustment to match output size. Three methods of compositing to choose from for best results. Preview entire movie or a specific range of frames. Run preview with or without sound, or scrub manually. Keyboard and slider control for frame by frame viewing. Save Preview as AVI movie. Uses X-Sheet to save and re-open project to continue working. Capture in Color or Black and White. 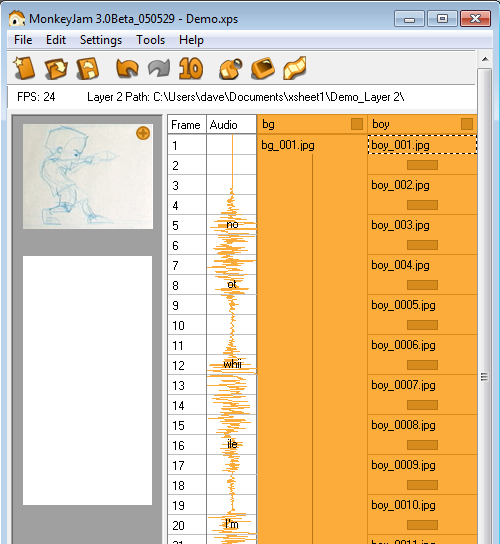 All images saved individually to allow editing of frames in graphics programs. Preview last 24 frames in Capture window. All the advantages of the Xsheet.